Disclosure: We received the product to facilitate our review. All opinions are our own. Waffles have always been one of my favorite breakfast foods. Whether indulging at a sit-down brunch, or having them at home, waffles are a treat. While I sometimes purchase my waffles in the frozen foods aisle, there’s nothing like the homemade option, fresh from a griddle. In addition to freshness and the options to customize flavors and preferences, making your own waffles at home gives you the ability to control what’s going into these griddled treats and ensure that flavor, sugar count, and other preferences are personalized to perfection. 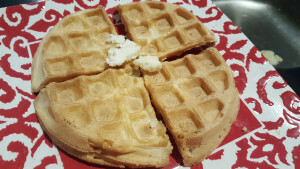 I’ve certainly made some less than perfect waffles at home, with batters spilling and oozing over leaving burnt edges to clean off the griddle as well as a mess to clean off the countertop. We were excited to discover a revolutionary product that helps even the most novice home chefs perfect their waffle routine – the No Overflow Perfect Pour Volcano Waffle Iron from Chefman. Belgian waffles and a clean countertop have always been the unachievable dream for the home cook. With the mess-free, perfect pour Volcano Belgian waffle maker, Chefman has made those dreams a reality. The small, compact device features a spout that conveniently locks into the base, ideal for easy storage. 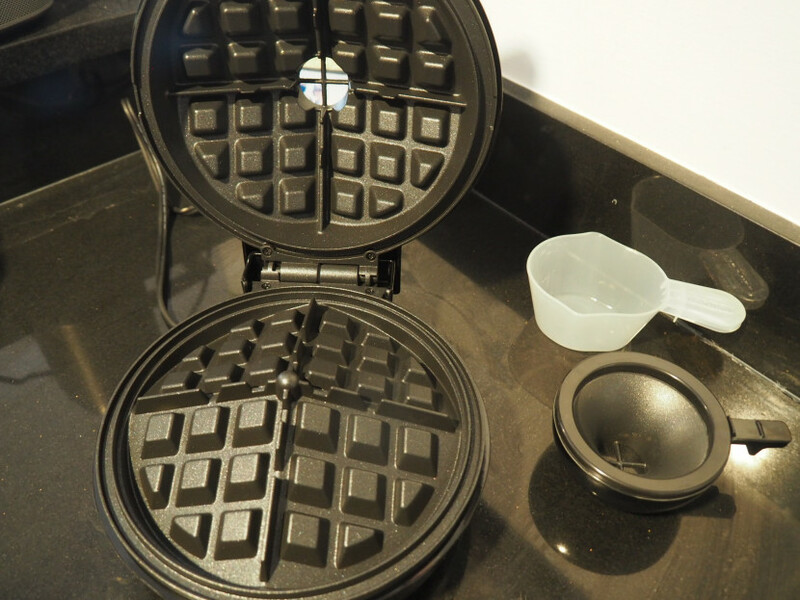 When ready to use, untwist the spout from the base and insert on top of the waffle iron. 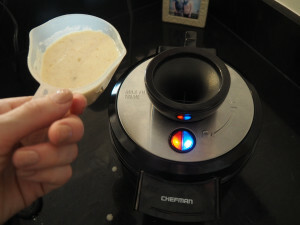 Then use the included Chefman scoop to pour batter through the spout, where it is distributed evenly among the four plates. In a few minutes, you’ll likely see some batter oozing up through the spout, like a volcano. This allows you to collect extra batter in the spout, versus risking spillage or uneven waffle batter distribution. When the waffle finishes cooking, simply lift up the latch, and your perfect waffle is ready for you, divided into four equal parts. We’ve tested out the machine, and the scoop is quite accurate in terms of distributing the perfect amount of batter into the machine with minor exceptions based on ingredients. 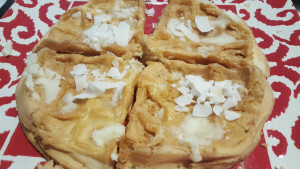 I enjoyed using the machine to make sugar-free waffles from a mix I purchased, while then infusing some fresh coconut in the batter and as a topping, along with coconut butter. 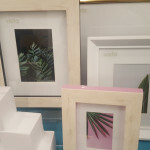 It was the perfect tropical treat! We also tried including protein powder, which thickens the mix a bit, so I needed to use a little extra water to get the full batter distribution. This innovative device can be purchased on Amazon. 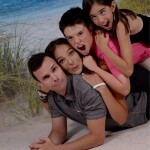 « Get Rewarded for Family Oral Hygiene with the Dentek 30 Day Family Floss Challenge!